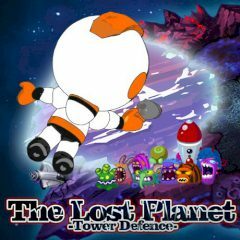 Explore the lost planet and place defensive towers on it. Prevent monsters from reaching your citadel. Your defense is the last stand and if it fails - the citadel will fall. Place towers along the path and kill all monsters that are heading towards it. Upgrade towers and remove those you don't need anymore.